Introducing the Maple Rewards system—now you can earn Reward Points through everyday gameplay and spend them on Cash items! 1. Earn Reward Points through gameplay. You can earn up to 2,000 Reward Points daily (per world) through regular gameplay, and up to 1,000 Reward Points daily (per world) through Star Planet gameplay. 2. Enter the Cash Shop to “store” the Reward Points. Each account can earn Reward Points up to 10 times before entering the Cash Shop to store the Reward Points. However you must enter the Cash Shop to store the Reward Points within 7 days of receiving them, or they will be deleted. 3. You can also earn Reward Points from some Cash Shop purchases with NX. When you purchase a qualifying item, 5% of the purchase price will be received as Reward Points. 4. For Reward Points earned through regular and Star Planet gameplay, your account can store up to 3,000 Reward Points in the Cash Shop daily, and up to 30,000 Reward Points monthly. Including Reward Points earned from Cash Shop purchases, the total monthly Reward Points your account can store is 150,000. 5. Reward Points can be used until the end of the next month after they have been stored. If you have not used them in that time, they will be deleted at 11:59 PM (Pacific) on the last day of that month. 6. You can spend your Reward Points in a couple of ways. Visit the Maple Rewards Shop within the Cash Shop by clicking on the green button on the left side of the Cash Shop. You can also find the Maple Rewards Shop by navigating to the Special Promotions > Maple Rewards Shop category. 7. All of the items in the Maple Rewards Shop can only be purchased with Reward Points. Each item has a limit as to how many times your account can purchase it. The purchase count limits are reset on the first day of every month. 8. You can also spend your Reward Points on up to 30% of the purchase price of regular Cash items. When you select the item to purchase, you can check the box for Reward Points in addition to your regular currency. 9. Reward Points can only be used on full-price (not discounted) items. Some items cannot be purchased with Reward Points: Pet and Equipment Cover Packages, Royal Hair/Face Coupons, All Star Hair Coupons, Beauty Album Expansion Slots, 2X EXP/2X Drop Coupons, Quest Boosters, Nebulites and Nebulite Diffusers, Premium Fusion Ticket Exchange Coupons, Androids and any Android-related items such as Heart and Name Tag, Scissors of Karma/Platinum Scissors of Karma, Sharing Tag, Monster Life Gems, all Surprise Style Boxes and Surprises items, Philosopher's Book, Gachapon and Remote Gachapon Tickets, Nebula Conductor, Meso Sacks, premium dungeon entrance tickets, Premium Pet Food, Shadow Style, Return of Angel Wing, any Inventory and Storage Slots, or Marvel Machine spins. 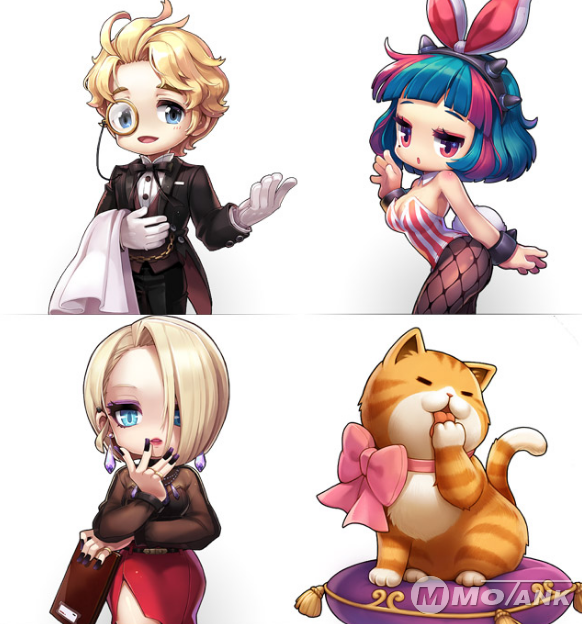 If you want to buy Maplestory 2 mesos on net, you can choose to purchase from MMOTANK Store, we have the safest mesos supply every day and have full stock for your demands. Sometimes, you can get free MS2 mesos from us due to some promotion activities on our website. Please keep your eyes on MMOTANK news update.